Our Mission Statement: The Critter Gitterz Pest and Wildlife Management team is dedicated to provide our customers with consistent, effective service and build friendly relationships in order to ensure satisfaction and safety. We operate in accordance with the Department of Agriculture regulations and the local laws. We strive to develop unique solutions to any challenge we may face and in doing so, hold ourselves to higher standards with unwavering persistence. 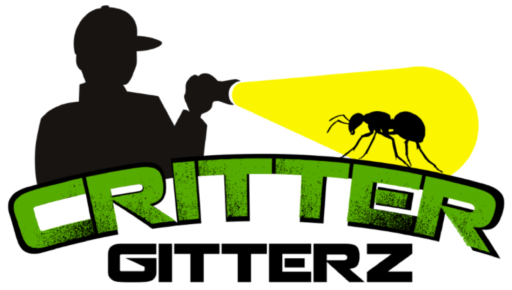 Critter Gitterz is a local, family owned and operated Eco-friendly Pest and Wildlife Management Company. As a small business we are able to provide our customers with a schedule that is convenient for them and earn their trust, in order to establish effective lines of communication. It is important to us and the satisfaction of our customers that we ensure the consistency of our technicians with both quality and punctuality. Our services include the control of all insects and arachnids including: Bed bugs, spiders, fleas, ticks, termites, carpet beetles, carpenter ants, bees, wasps, hornets, etc. Management of wildlife within the confines of the law include: rodents (rats, mice, voles, squirrels), raccoons, skunks, bats, non-migratory birds such as pigeons, etc. Call the Colorado Division of Wildlife about protected or large animals such as: mountain lions, bears, foxes, migratory birds such as geese, etc. Unlike other companies, we aspire to prevent future occurrences by stopping the trouble at its source. This may include finding a source population of a pest, or the exclusion of the pest from your property, including mice, raccoons, pigeons, etc. We use live trap and relocation techniques, when possible, to ensure the safety of our wildlife. Our exclusion work includes concrete work, temporary or semi-permanent roof patching, and foam sealing. We will even do clean out work such as mouse dropping removal, pigeon roof cleaning, and attic bat guano removal. Our rates are always competitive, so please allow us to dedicate ourselves to your pest and wildlife management needs and provide you with the best service at the best price. All calls are sent directly to an active technician.